Spacious 2 floor condo, located at 115th St. and Coastal Hwy, this 3 bedroom, a den and a loft has plenty of room for up to 12 people. 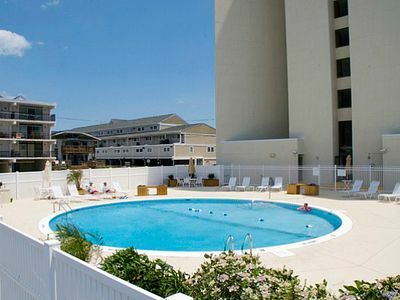 Directly across from 2 of 6 elevators that will whisk you directly to the beach, or to the in or outdoor pool, as well as a kiddie pool. Plenty to do on the premise, especially in case of inclement weather, for the kids! 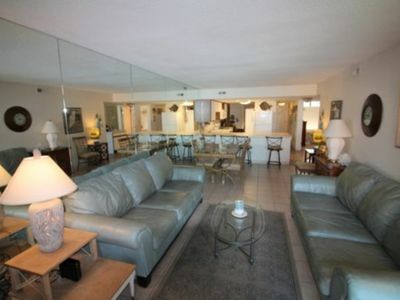 Arcade, movie theatre, exercise room, indoor pool, not to mention private sauna & billard room! All yours to enjoy at no extra cost!! Just check in with the security office in the parking lot! Walk in to the den with a brand new trundle bed that sleeps 2, flat screen smart TV, adjacent to full size washer/dryer in unit laundry room. 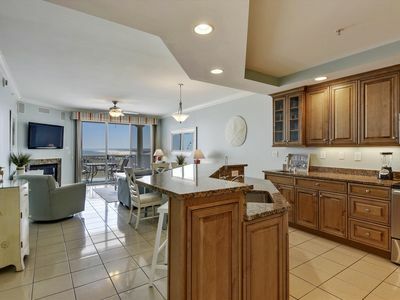 Fully equipped kitchen with breakfast bar and full size dining room makes meal time very comfy! Kids highchair for the baby already there. 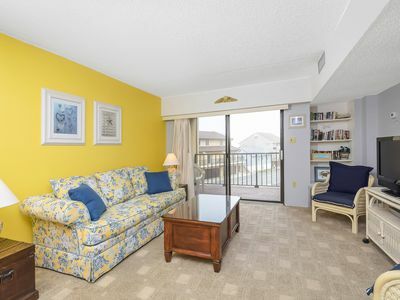 Adjoining living room with brand new secctional and pull out queen size, flat screen TV/DVD player opens up to a double balcony overlooking the ocean & bay. 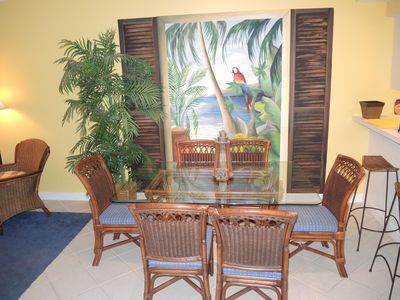 Spectacular views from every where to enjoy your favorite beverage or meal. 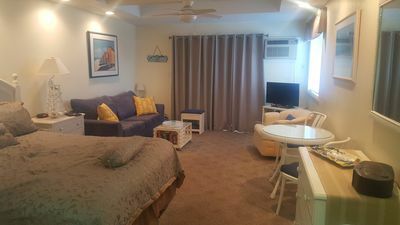 Upper level consists of the master bedroom suite/loft with queen size bed and an inflatable bed inside the closet, also private bath and balcony. Third bedroom has king bed , TV and dresser with a shared full tub bath in the hallway. Fourth bedroom has a bunk bed with full size on bottom and a twin on t op. and also another twin bed, dresser and TV with shared full bath in the hallway as well. 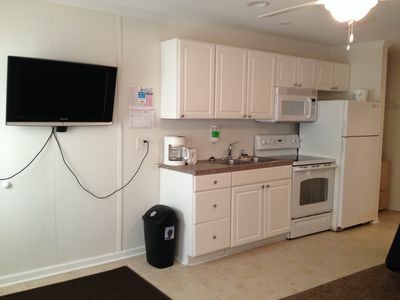 All bedrooms include cable TV. Plenty of floor space throughout for additional inflatable beds. 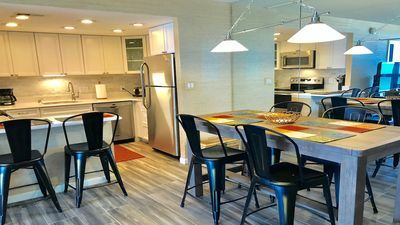 Many other amenities in the building include the exercise room, game & billiard room, sauna, theatre,as well as on premise coffee shop for that morning cup of joe! Start your day with a round of tennis or basketball on the outdoor courts or spend time with the kids on the playground. 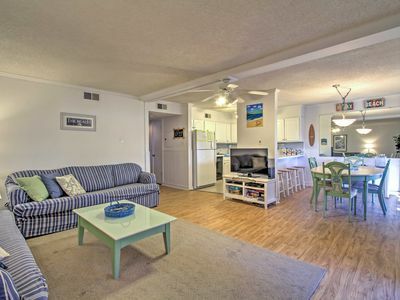 and an indoor pool, an outdoor pool and a kiiddie pool All within view of your balcony. 24 hour security guard and garage attendants to assist. Parking Registration Fee: $40.00 per space during the summer season. No Vans Over 7 Ft In Parking Garage. 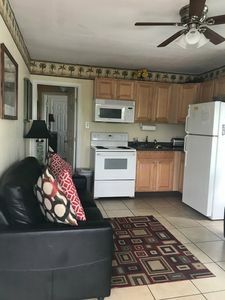 This property is only available for a weekly rental with a Sunday check in date between the dates of May 21 and September 04. Shorter stays are available off season. 3 miles to Ocean Downs Casino in O.C. and just 60 miles from Dover Downs Casino and Racetrack in Delaware. 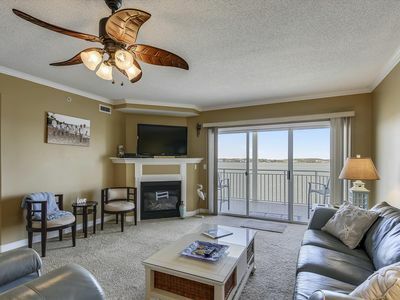 Steps from Boardwalk - Luxury Condo w/ Wi-Fi, Pool, Fitness - Gr8 Water Views! 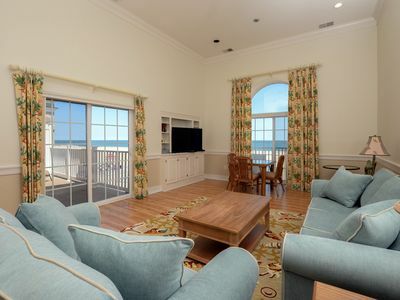 Quaint 41st Oceanside Condo - 50 Steps to Beach - Tax Already in Rates! 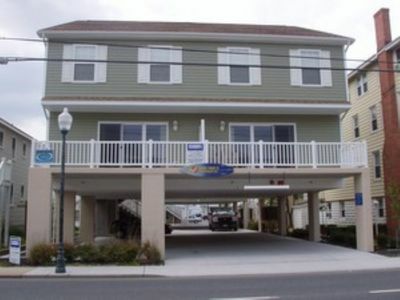 Oceanfront (Side) Near N. End of Boardwalk - Free Linens, Wi-Fi, Pool! 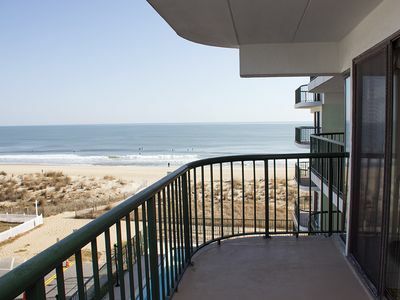 Ocean City Condo w/ Pool Access - Walk to Beach! 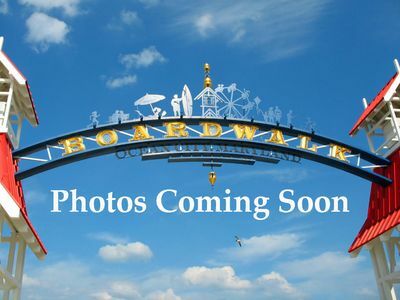 Walk to Boardwalk! 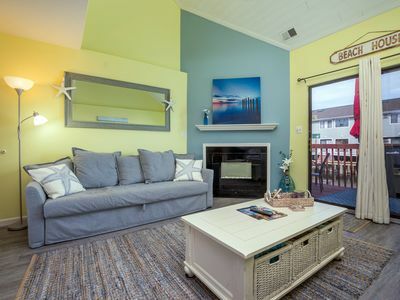 Immaculate Bayfront - Wi-Fi, Pool & Sunsets! 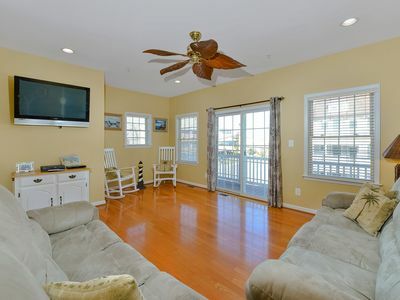 Spacious 4 Bedroom Town Home Within Walking Distance to Beach & Boardwalk! 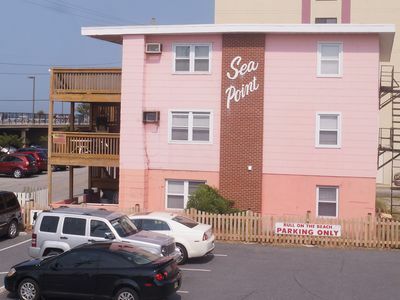 Budget Friendly 1 Bedroom, 1 Bathroom Condo with Views of Pool and Ocean! 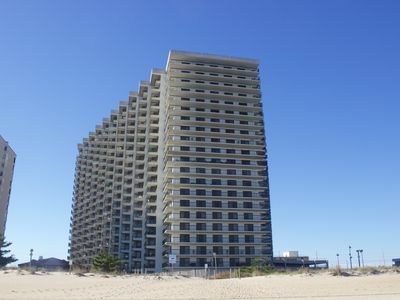 OSEA - Direct Ocean-Front, 2-BR, 2-Bath With Amazing Views! 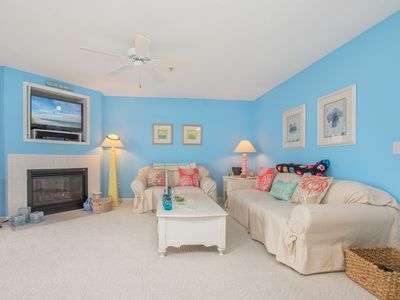 Cozy two-level townhouse with decorator touches located on the water! 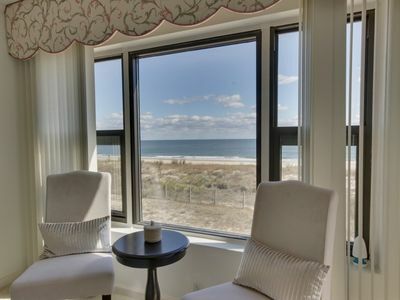 Less than 1/2-Block to the Ocean - Pool, Premium Cable & Ocean Views!